A creative event activation can inspire trade and consumers alike. From our very first days representing Macao, my team and I have capitalized on the traditional methods of reaching travel agents, wholesalers and tour operators. We hold official seminars, attend desksides and conferences, host luncheons, and throw gala dinners. We can easily achieve attendance numbers and get our message out effectively, but we sensed that members of the travel trade were eager for fresh and innovative ways to learn about a destination as unique as Macao. When Macao – a city that is so rich in culture, history and cuisine – was selected as the 2018 Creative City of Gastronomy by UNESCO, we knew we had a golden opportunity. 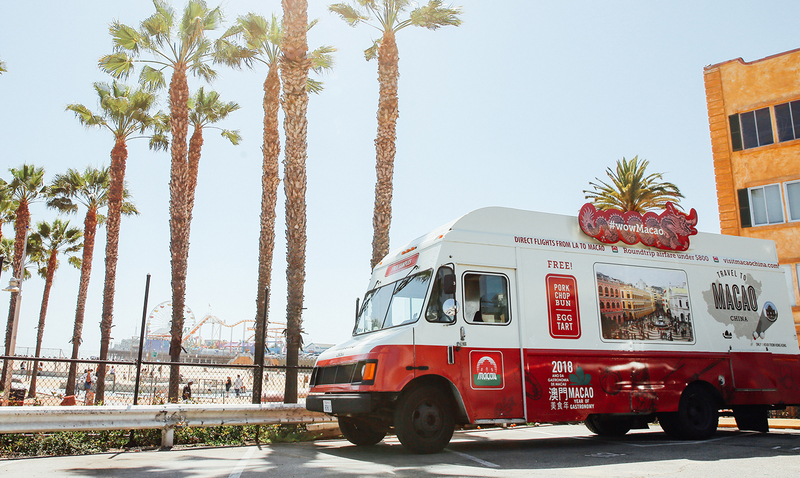 In 2017, we launched the first Macao Experiential Food Truck, hitting the streets of New York and Los Angeles with a branded food truck sharing free pork bun sandwiches and Macanese egg tarts. Not only was the event designed to inform and engage the public in high-traffic areas, but we strategically invited members of the travel trade as our VIPs. Before the truck was even open to the public, we hosted an exclusive event for our trade partners and top-tier journalists. We also worked with tour operators to create a culinary-themed package to Macao that we were able to share with customers. By opening these lines of communication, we were able to show the trade that we are actively working to drive consumer awareness and demand. Along with impressions from earned and paid media, the buzz surrounding this exciting event delivered exactly the kind of awareness we were hoping for. Not only that, but our truck was essentially a mobile billboard, so even after we ran out of over 6,250 food servings, we were still getting the word out about Macao. In honor of the event, we then had toy replicas of the food truck to give out to our trade partners. It’s a whimsical keepsake that will remind them of our time together, and is just one more creative way to continue deepening our relationship and share the stories of Macao.